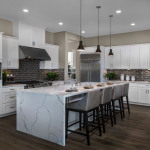 LAKE FOREST, Calif.--(BUSINESS WIRE)--KB Home (NYSE: KBH) today announced that the KB Smart Home System will be offered as a standard feature at two of its Orange County communities: Highmark at Ironridge in Lake Forest and Prado at Cadence Park in Irvine. The KB Smart Home System, which leverages the power of Google Assistant™ to integrate a curated selection of voice- and smartphone-controlled features, will also be available as an option for all buyers who purchase a new KB home at any of the builder’s other communities in Orange and San Diego counties. The KB Smart Home System provides a robust ecosystem that can integrate an ever-expanding selection of compatible smart devices and features, many of which will be available at select KB Home Design Studios. Powered by Google Assistant, homeowners with the KB Smart Home System will be able to control many of the most important functions of their new home and automate routines to their individual preferences to live more comfortably and efficiently. 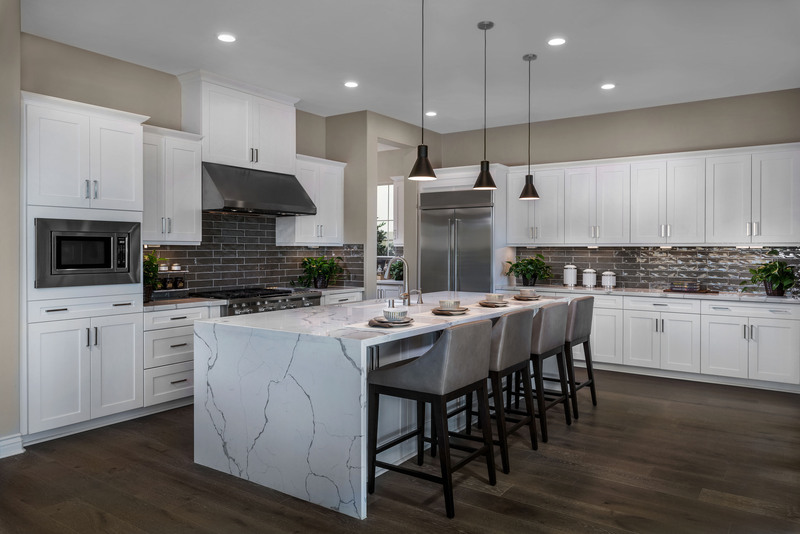 Home shoppers can now tour the homes at Highmark at Ironridge to learn how to control features such as lighting, window shades, cameras and more. The KB Smart Home system will be showcased starting Saturday, January 19 at KB Home’s Highmark at Ironwood in Lake Forest, CA. The KB Smart Home is located at 2042 Aliso Canyon Drive in Lake Forest. For more information about the KB Smart Home in partnership with Google, visit kbhome.com/kbsmarthome. KB Home (NYSE: KBH) is one of the largest homebuilders in the United States, with more than 600,000 homes delivered since our founding in 1957. We operate in 38 markets in eight states, primarily serving first-time and first move-up homebuyers, as well as active adults. We are differentiated in offering customers the ability to personalize what they value most in their home, from choosing their lot, floor plan, and exterior, to selecting design and décor choices in our KB Home Studios. In addition, our industry leadership in sustainability helps to lower the cost of homeownership for our buyers compared to a typical resale home. We take a broad approach to sustainability, encompassing energy efficiency, water conservation, healthier indoor environments, smart home capabilities and waste reduction. KB Home is the first national builder to have earned awards under all of the U.S. EPA’s homebuilder programs — ENERGY STAR®, WaterSense® and Indoor airPLUS®. We invite you to learn more about KB Home by visiting www.kbhome.com, calling 888-KB-HOMES, or connecting with us on Facebook.com/KBHome or Twitter.com/KBHome.